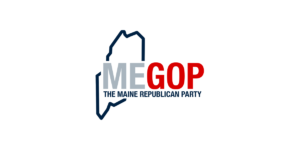 AUGUSTA – The Maine Republican Party today is exposing a financial connection between the House Chair of the Maine Legislature’s Taxation Committee, and the group that funded the 3% income tax hike in the November election. At issue are campaign finance documents revealing Rep. Ryan Tipping, D-Orono (formerly known as Tipping-Spitz), was paid $9,000 by Citizens Who Support Maine’s Public Schools, the official Political Action Committee for Yes on Question 2. “Rep. 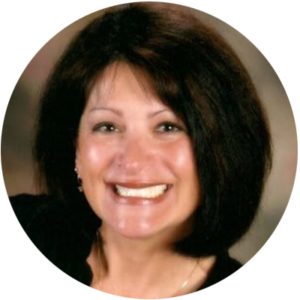 Tipping should not be Chair of a committee of jurisdiction whose singular most important issue this legislative session is one he has already been paid to support,” said Dr. Kouzounas. In 2016 Rep. Tipping’s legislative salary was $9,982, by taking payments from this teacher’s union funded PAC he nearly doubled his salary. The sum of $9,000 is 24 times the limit on a contribution to a general election candidate. “If this slipped unknown under the radar, it is an unfortunate mistake – but if it was known before Rep. Tipping was assigned his committee, I harbor grave concerns about the judgement of Democratic Leadership,” said Dr. Kouzounas. “The Maine GOP is calling on House Democrats to reassign Rep. Tipping to a new committee immediately,” insisted Dr. Kouzounas. At the bottom of this email is a screen capture showing the payments made to Rep. Tipping by the Yes on 2 Campaign PAC. “Rep. Tipping is trying to muddy the water between his payments from this special interest and our statement regarding his chairmanship of the taxation committee. The fact that Rep. Tipping asked the Maine Ethics Commission a different question last year about these payments has no bearing on our statement regarding his current position as chair of the committee of oversight on this tax hike. “Rep. Tipping is also trying to confuse the public about the difference between Maine’s ‘citizen legislature’ with a ‘special interest legislature’. Rep. Tipping is wrong to compare his taking of special interest payments to support an issue with the honorable service of legislators who have worked entire careers in their field of expertise before serving in Augusta. “Taking $9,000 from a PAC to serve one side of a tax issue and then jumping over to chair the taxation committee is not the same as what hundreds of honorable ‘citizen legislators’ have done since Maine’s founding. Allowing Rep. Tipping’s current situation to continue puts a great big blinking ‘For Sale’ sign on a government that rightfully belongs to the people of Maine. “In addition, Rep. 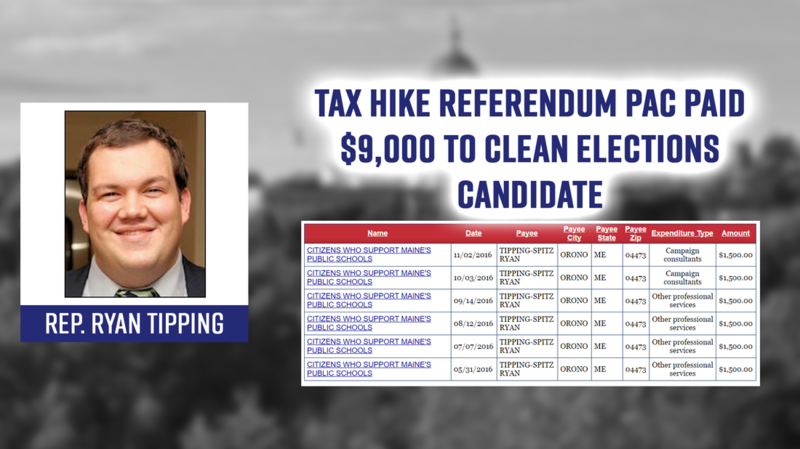 Tipping took clean elections taxpayer funding as a candidate, supposedly to keep from being ‘biased from big-money interests’, but then turned around and took $9,000 from a ‘big-money interest’ while he was a clean elections candidate.